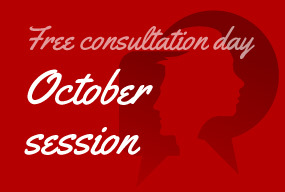 Its a free of cost 45 min one-on-one consultation session with Rujuta’s team. You can either come to our office in Khar or do it over skype or the phone. In lieu of the free consultation, you are expected to make a direct contribution of any amount to Anandwan- Forest of Joy, Baba Amte's organization for malnourished children. This is an initiative to reach out to those who are financially constrained to sign up for our exclusive consultation program. We are happy to work with anyone who is sincerely looking to take efforts to make lifestyle changes. We however prefer you have read Rujuta’s books so that you are able to make the best use of your consultation time.